Hey, it’s our annual look back at the year that was in the Victoria Music Scene. This was compiled a bit later than we’d normally like to post this, but the holidays and a nasty case of the flu put us behind schedule. 2018 was another busy year with a number of changes, award wins, and some sad losses. 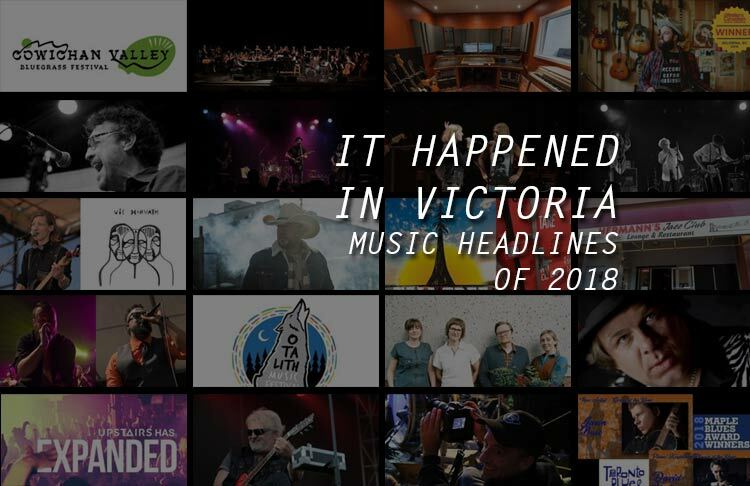 Here’s some of what happened in Victoria – Music Headlines of 2018. 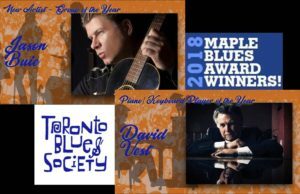 At a ceremony held at Toronto’s Koerner Hall, Victoria musicians Jason Buie and David Vest both won 2018 Maple Blues Awards. Buie won ‘New Artist of The Year’ and Vest was named ‘Piano/Keyboard Player of The Year’. On January 21, 2018 Victoria House Concert B founder Andy Briggs announced on his Facebook page that he had been diagnosed with a significant tumour in his head. In May, Briggs underwent surgery to have much of the tumour removed. The music community gathered at Lucky Bar in May for a benefit concert. We ran into Andy in September attending Rifflandia and he was in good spirits. 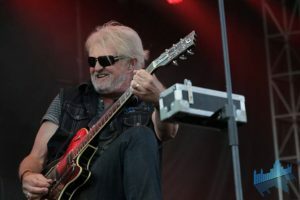 On March 7, 2018 the Great Canadian Gaming Corporation announced Tom Cochrane and Red Rider would be the very first performers at the newly renovated Elements Casino Victoria. Part of the renovation included the addition of a 500 person entertainment space called the Platinum room. Cochrane performed on May 5, 2018. 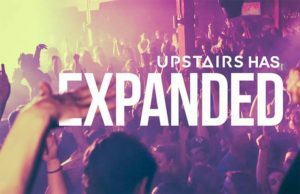 On March 19, 2018 Upstairs Cabaret announced that the venue’s capacity had officially increased to 500 people. The club did a major rehaul of the washrooms which allowed them to increase the capicity and a new visuals wall. 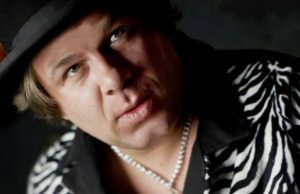 Just two months after winning ‘New Artist of The Year’ at the 2019 Maple Blues Awards, news that Victoria Blues musician Jason Buie died unexpectedly was made public. Buie was 47. On March 27, 2018, Victoria indie rock band Frog Eyes announce they would be releasing their final album and embarking on a farewell tour. 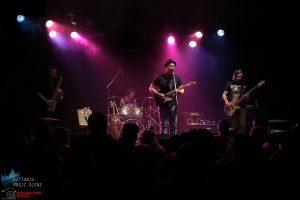 The band’s final show in Victoria was held at Copper Owl on May 25, 2018 with their album being released a week prior. 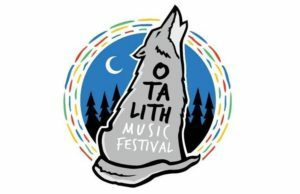 At the end of March, Otalith Music Festival announced on their website that the festival would be taking a break in 2018. The festival had taken place in Tofino/Ucluelet since 2013 attracting upwards of 1500 people per year. On June 17, 2018, The New Groovement announced that Dan ‘Danimal House’ Howse was stepping down ad the band’s rapper/MC after six years with the group to concentrate on his work with hip hop group Illvis Freshly. 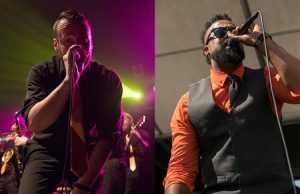 Shane Blaq was announced has his replacement and made his official debut with the band at Car Free YYJ 2018. Danimal House’s exit came a little over two years after vocalist Theresa Pasaluko stepped down and Steph Wisla joined the band. On July 24, 2018, Hermann’s Jazz club management Ingrid Reid and Susan Joy announced they would be resigning as of midnight. The statement said the resignation was “due to a hostile take over from Stephan Nieweler and Edward Nieweler,” Reid’s brothers. The following day the brothers issued a counter statement that a year ago the business had been forcibly taken over by Reid, her husband and Susan Joy. The abrupt change in control was due to an ongoing legal battle. 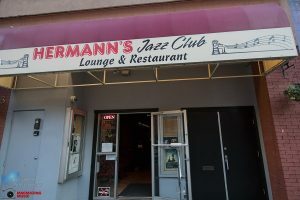 Since the transition, Hermann’s Jazz Club continues to operate and a new nightclub has opened upstairs in the space that was previously occupied by Yuk Yuk’s Comedy Club. 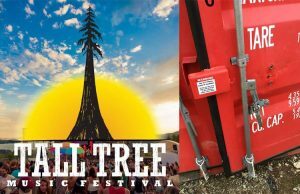 On July 27, 2018, Organizers of Tall Tree Music Festival issued a plea for help after thousands of dollars of equipment was stolen from a storage container in Port Renfrew. The theft of electrical equipment, lighting, cooking equipment, power tools, decorations and infrastructure was a set back after the festival announced it would be taking 2018 off. In an update September 27, the festival announced there was uncertainty about being able to produce another festival at Browns Mountain. Organizers asked for the public’s thoughts whether the festival should continue at a new location or be put to rest if it can’t take place at the mountain. 92% of those who participated in the poll thought the festival should live on even if it moves. 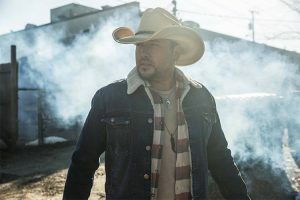 At the 2018 Sunfest Country Music Festival in Lake Cowichan, it was announced that Jason Aldean would headline the 2019 edition of the festival. Aldean is a multi-platinum artist with 19 number one hit singles. By the end of the year the festival has added Maren Morris, Kip Moore, Randy Houser, Terri Clark, Michael Ray, The Washboard, Union, Cody Johnson, Mitchell Tenpenny, Aaron Goodvin, Andrew Hyatt and Shawn Austin. 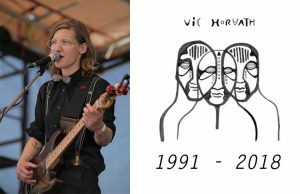 On August 18, 2018, Victoria singer/songwriter Vic Horvath die suddenly. The cause of death was determined to be a seizure due to complications with Epilepsy. On August 23, friends, family and members of the Victoria music community gathered at Vinyl Envy to celebrate Vic’s life. A GoFundMe campaign raised $5800 to press Horvath’s album ‘West Coast Rain’ on vinyl. A mural was painted in Horvath’s memory outside of WildFire Bakery on August 26. 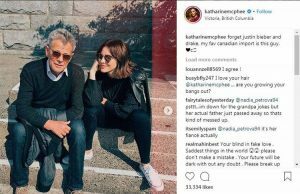 On August 25, 2018 former singer/actress and former American Idol contestant Katharine McPhee posted photos on Instagram of her and fiance Victoria’s David Foster hanging out at Victoria’s Inner Harbour. The couple were on the island for the Vancouver Island Motor Gathering, an annual car show in the Cowichan Valley raising money for the David Foster Foundation. On September 4, 2018 Vaultry announced that after four years as a band they “decided to end this chapter of Vaultry.” Formed in 2014, Vaultry released a 10-song LP ‘Eulogy’ in 2017 and became a Zone Band of The Month in June of 2017. Their final single ‘Other Drugs’ was released in June of 2018 and their final show took place at Capital Ballroom October 12th. 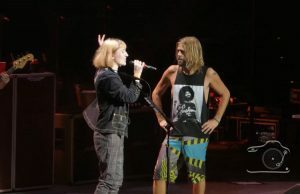 In an interesting piece of Vancouver Island based news, Port Alberni teen Madi Duncan was given the opportunity to sing on stage with the Foo Fighters at Rogers Arena in Vancouver on September 8, 2018. Duncan sang a cover of Queen’s ‘Under Pressure’ with drummer Taylor Hawkins. Duncan is the lead singer of Port Alberni band ‘Stranger Than Fiction. 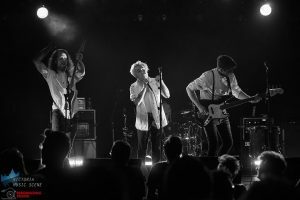 On September 10, 2018, Victoria’s High Noon to Midnight announced the band was going on indefinite hiatus. Their final show was at the Duke Saloon for Rifflandia 2018. 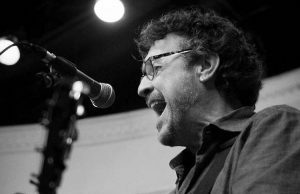 Lead singer Adam Barter has since performed a number of solo sets and saxophonist has performed with Lo Waight and The Rattlesnakes. 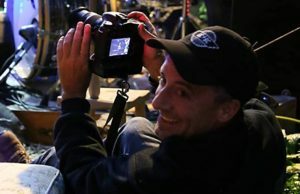 On October 7, 2018, Victoria musician Chris Trigg’s battle with cancer came to an end. In a statement posted the following day, Trigg’s wife Carola said Chris passed away surrounded by family. Trigg was diagnosed with cancer in December 2017 and had recently started chemotherapy. He contracted a severe form of pneumonia that his body was unable to fight off. Trigg was a vocalist and guitarists for bands Dr. Strangelove, The Benders, Ginsu Knives, Hummingbird Delux, The Shattered Hearts and Light Sweet Crude. Since 2016 Trigg was the host of the weekly jam session the ‘Sunday Kitchen Party’ at Christie’s Carriage House Pub. 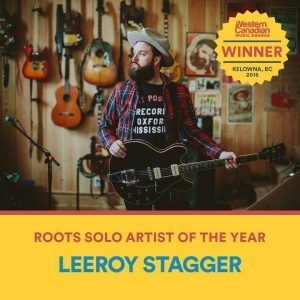 Victoria’s Leeroy Stagger was named ‘Roots Solo Artist of The Year at the 2018 Western Canadian Music Awards held in Kelowna October 11, 2018. He was also nominated for Recording of The Year. 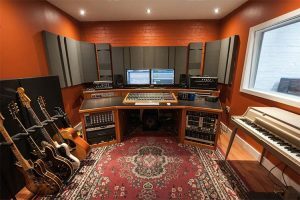 On November 12, 2018, Infiniti Studios owner Adam Sutherland announced that the Victoria recording studio would close it’s downtown location as of February 1, 2019. The studio had shared the building home to the downtown location of Floyd’s Diner since 2007. The reason for the closure due to the owner of Floyd’s being unable to negotiate a long-term lease with the building’s owners. There is speculation the property will eventually be redeveloped into condos. As of mid-January 2019 Steph Macpherson and LABS are two of the final bands/musicians to record in the studio. 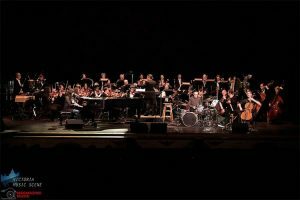 After performing at Victoria’s Royal Theatre for most of it’s 78 seasons, The Victoria Symphony announced on December 6, 2018 that it has been forced to moved 50% of their concerts to UVic’s Farquhar Auditorium. The Symphony cited the cost of rent doubling and reduced access to dates to use the theatre. The Royal & McPherson Theatres Society said the move is in the interests of the region because the theatre misses out on a number of concerts and Broadway shows due to the current bookings. The Victoria Symphony will begin performances at Farquhar Auditorium in September 2019. 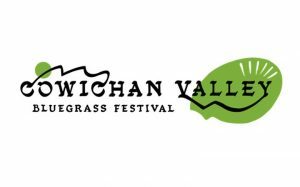 On December 10, 2018, The Sooke River Bluegrass Festival Society announced that after 16 years in Sooke, the festival will move to Laketown Ranch and become the Cowichan Valley Bluegrass Festival in 2019. The society said that the festival had outgrown the former site in Sooke. 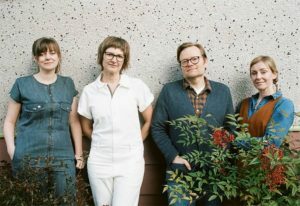 The society also announced Claire Lynch, The Slocan Ramblers, The Lonely Heartstring Band, The Sweet Lowdown, Clover Point Drifters, Country Squall and Nomad Jones will perform at the revamped festival.